The Cyclone Premium Microfiber Wash Pad Grey is a uniquely designed wash pad that helps you safely and easily clean your paint! If you are a fan of the The Rag Company Cyclone Premium Wash Mitts, this pad will be right up your alley. The Cyclone Pad takes everything you enjoy with the Mitt (long, high-quality microfiber strands, great thickness, large 10" by 10" size with 200 square inches of surface area to work with, etc.) but simply removes the hand hole and wrist cuff. This design provides you with a more sturdy option compared to a traditional floppy mitt. The fibers are long enough to remove build ups in crevices and soft enough to ensure safe washings. It holds lots of suds and glides across the paint smoothly. Place your hand directly on top of the Cyclone Pad and glide it along the vehicle's exterior ensuring that you apply the proper pressure for safe and effective washing. ! When you are finished washing, you can wash this mitt like you would with any other microfiber towel. Machine or hand wash with cold water and microfiber detergent free from dyes, fragrances, bleach, and softeners. Tumble dry on low heat or let the mitt air dry. 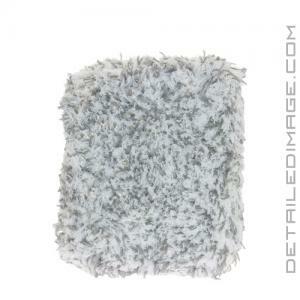 If you want to get away from mitts and use a wash pad, the Cyclone Premium Microfiber Wash Pad Grey is a great choice!